The defending Super Bowl champion Philadelphia Eagles are reportedly going to kick off next season with an NFC Championship game rematch against the Minnesota Vikings at Lincoln Financial Field. 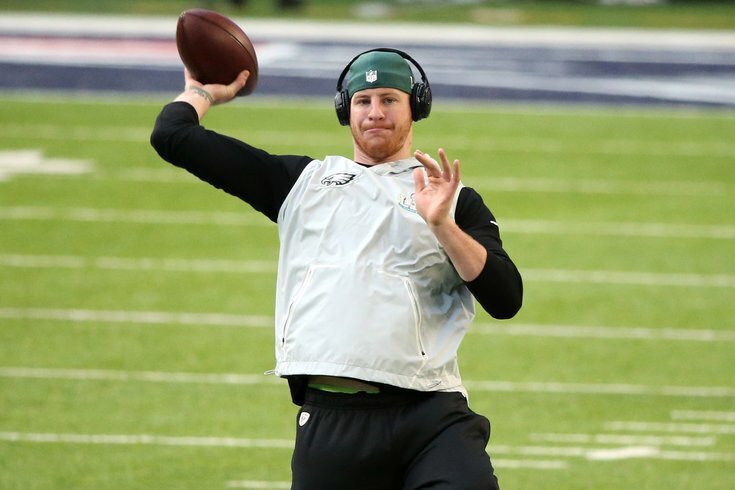 With months to go in the NFL offseason and plenty of decks still to shuffle, the biggest looming question concerns whether Carson Wentz will be ready to suit up for that Thursday night game. The injured franchise quarterback is still working through the rehab process for the torn ACL he suffered last December against the Los Angeles Rams. Earlier this month, teammate Jason Peters shared a video of Wentz throwing spirals from a seated position at the Eagles training facility. On Monday, Wentz took it a step further by posting video of a throwing exercise with a brace on his knee. For the time being, the Eagles are maintaining cautious optimism about Wentz's timetable for a return. Head coach Doug Pederson suggested last month that the team will take the same approach as they did last year with rookie cornerback Sidney Jones, who missed nearly the entire season while healing from a torn Achilles suffered during his pro day. Super Bowl LII MVP Nick Foles also remains on the roster with a year left on his contract and no obvious trade partner after the gauntlet first week of free agency. For fans anxious to stay on top of Wentz's progress, you might want to bookmark our "When Will Carson Wentz Be Ready to Play Again?" tracker.